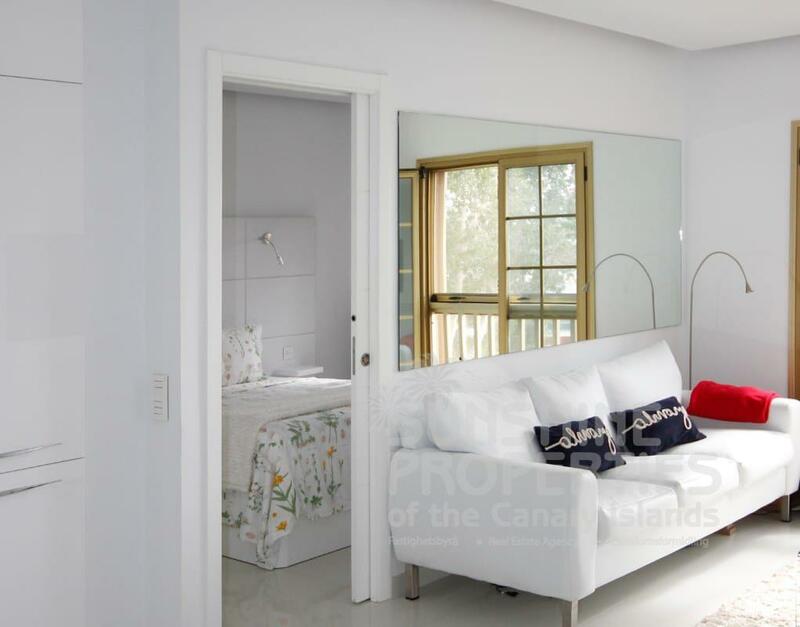 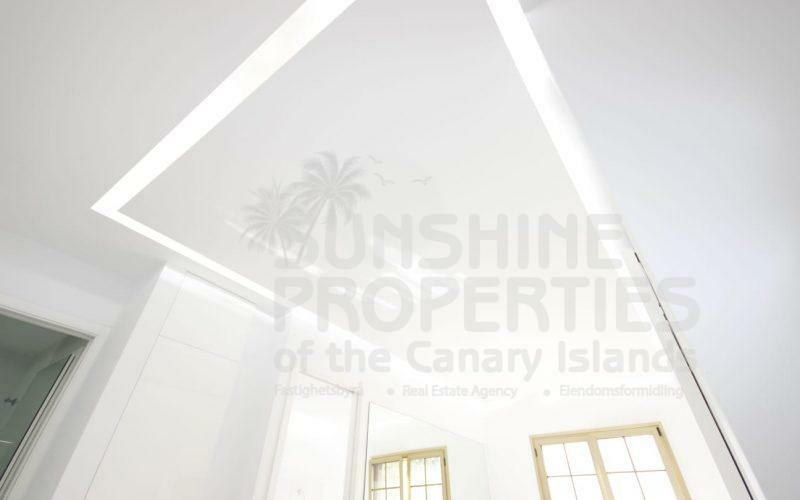 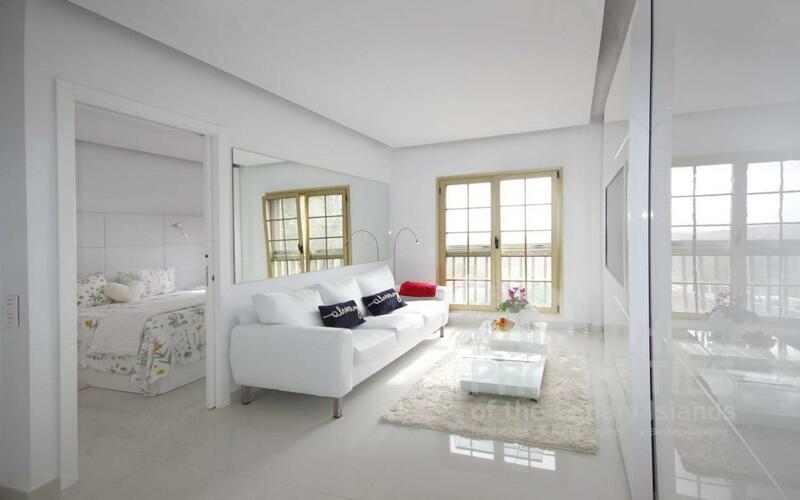 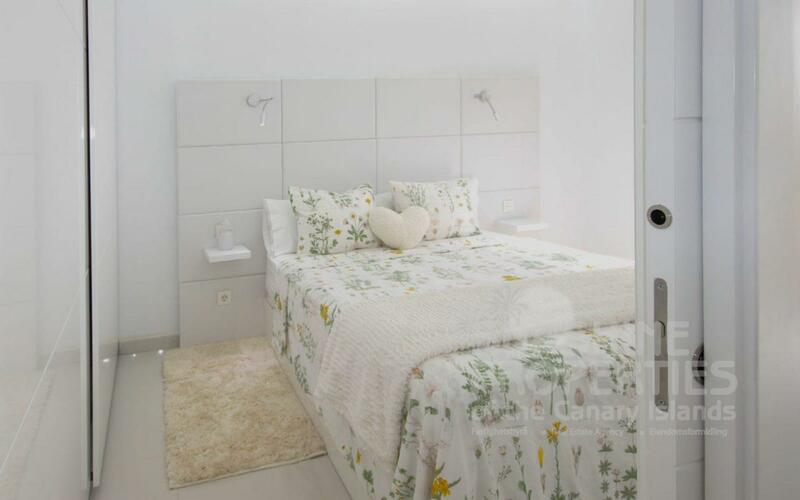 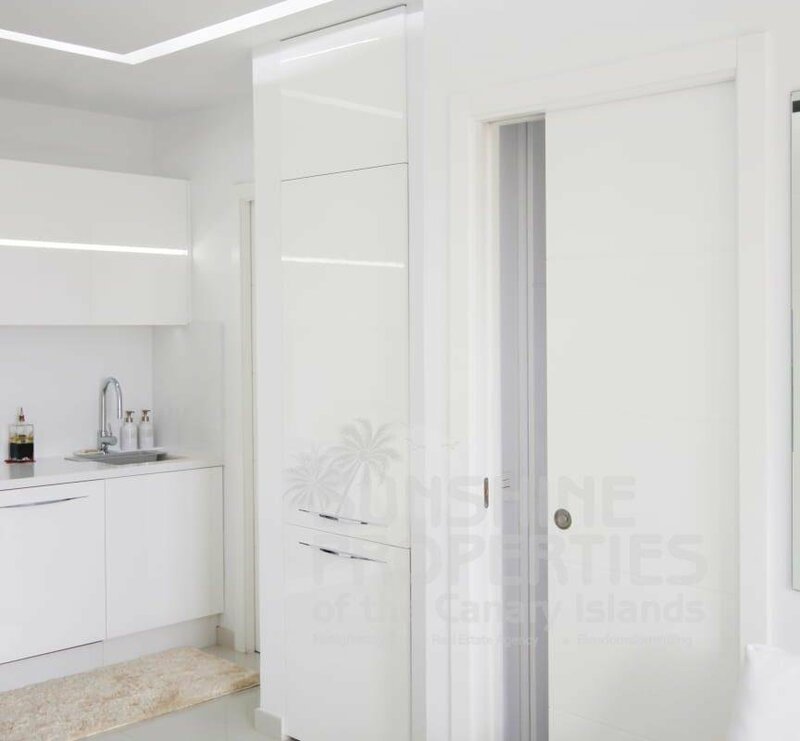 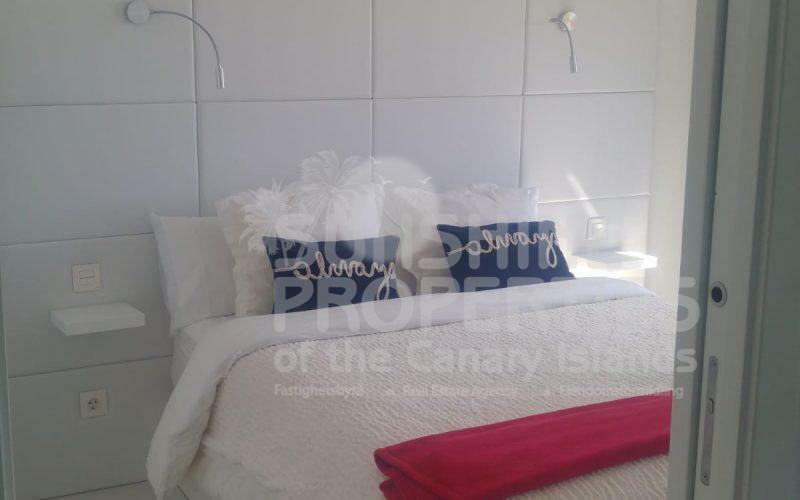 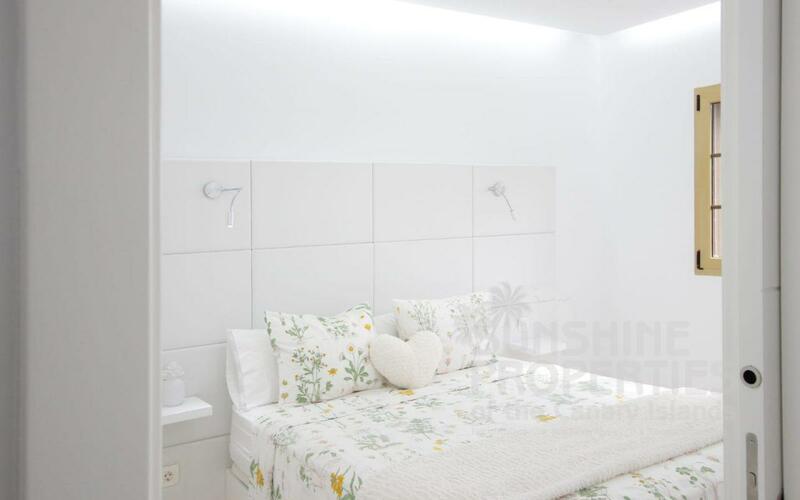 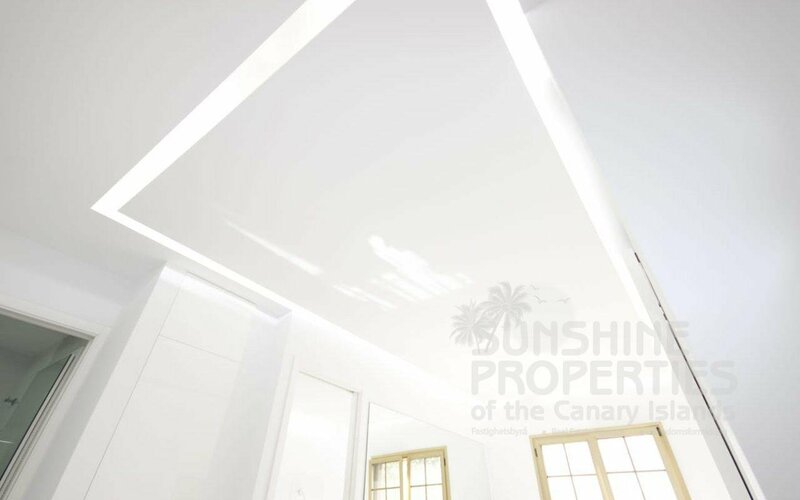 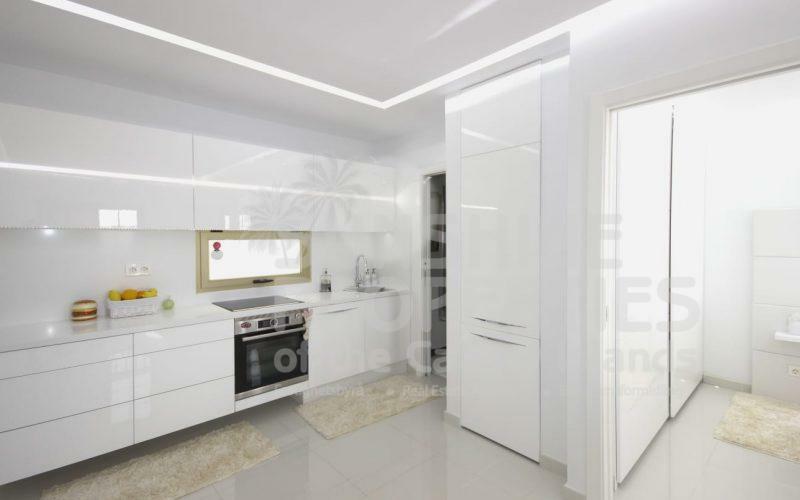 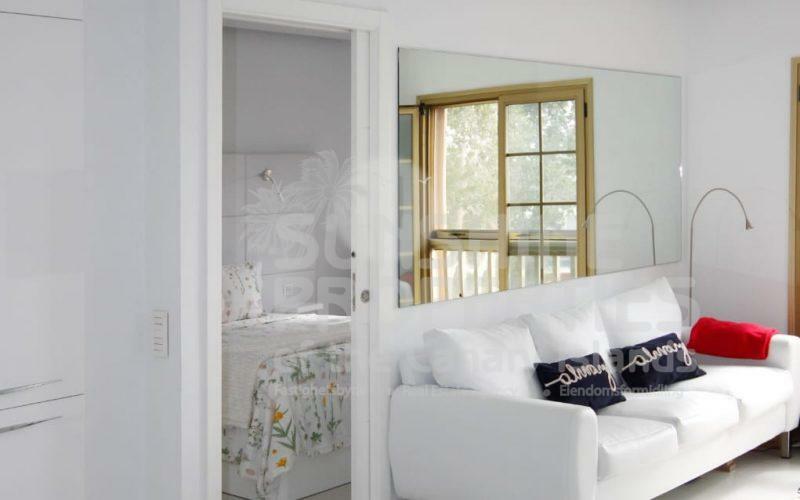 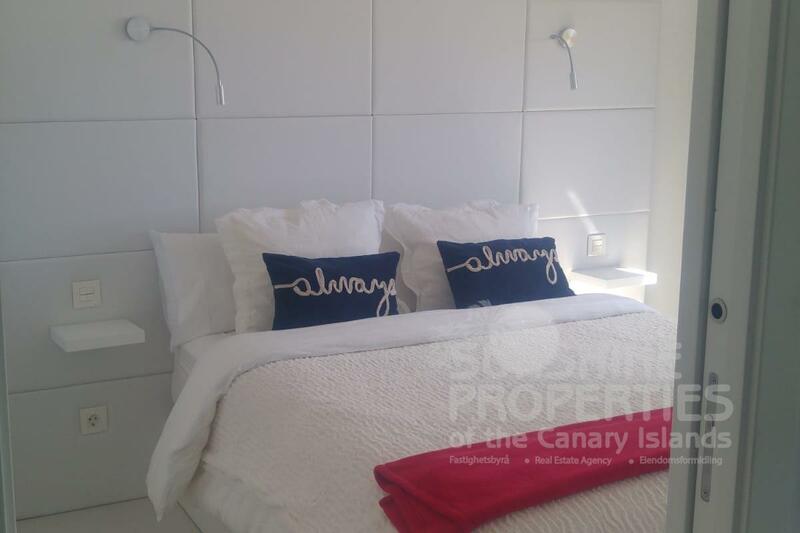 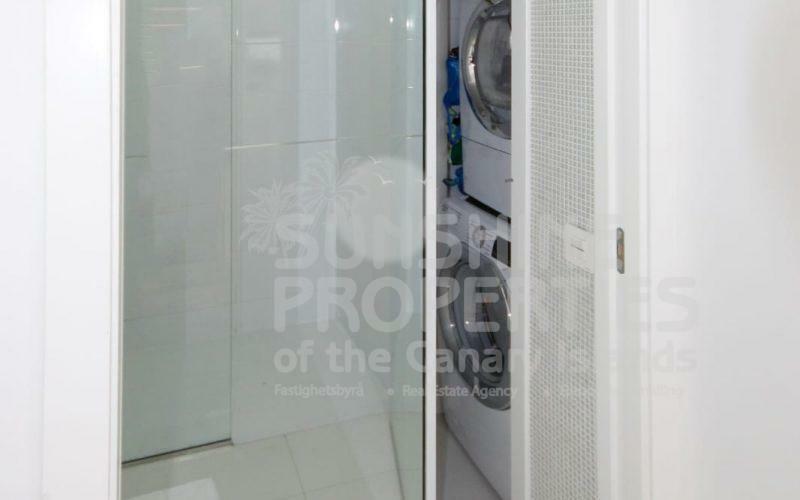 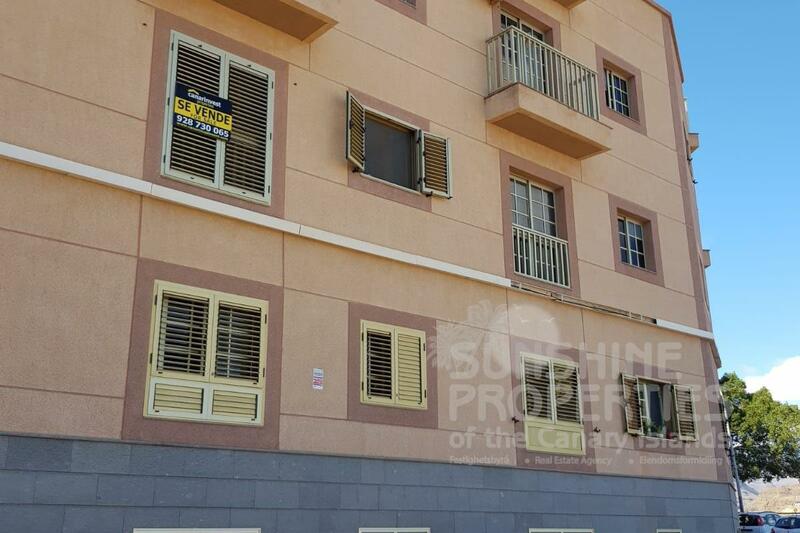 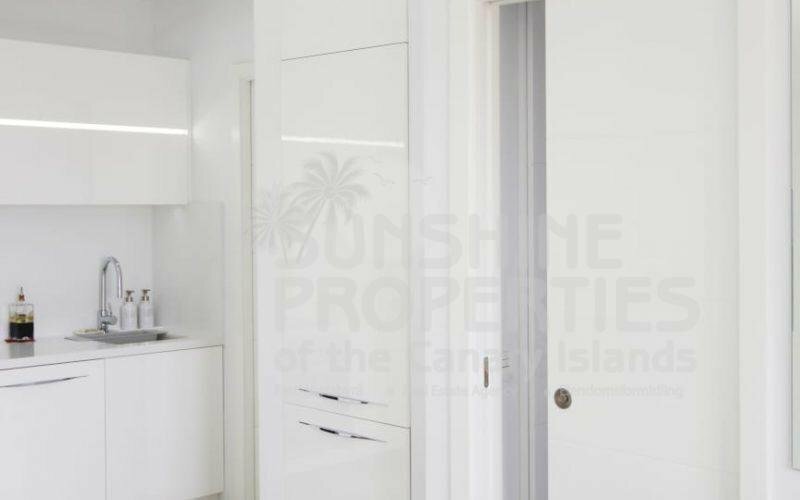 This is a Beautifully Renovated 1 Bedroom apartment in El Tablero, including electrical installation and plumbing adapted to the new regulations. 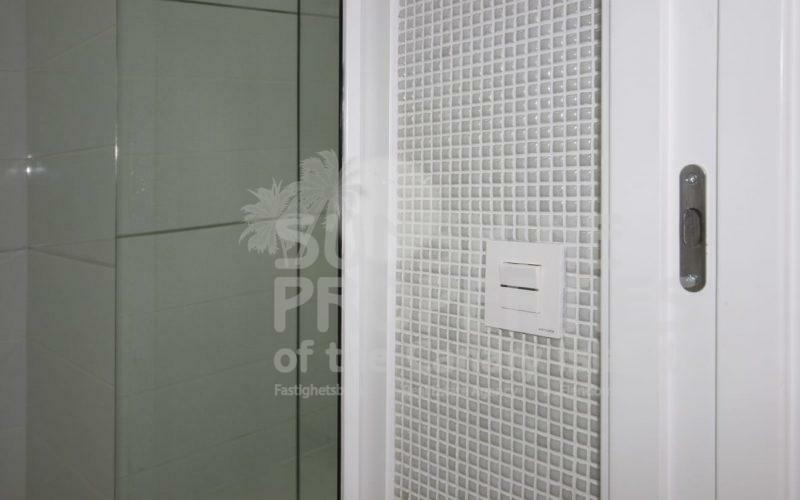 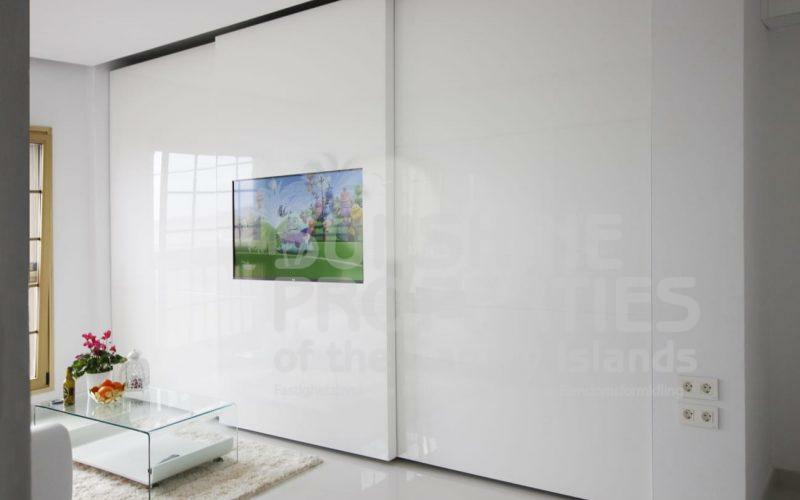 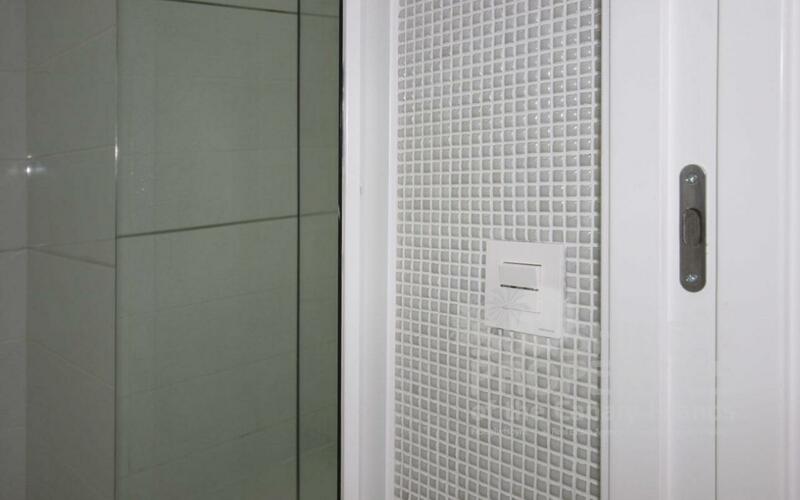 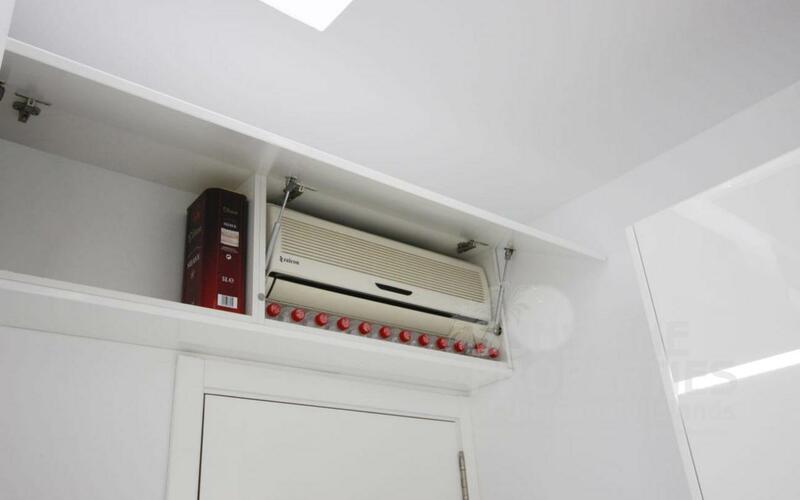 The apartment is meticulously finished with quality materials. 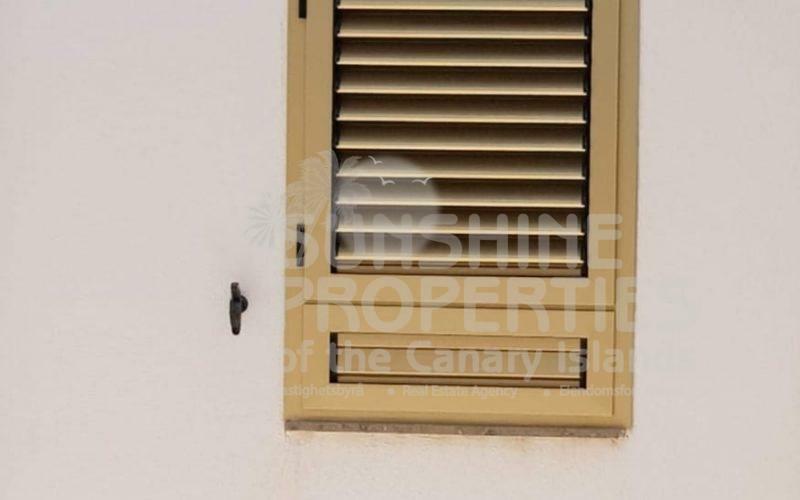 It has double glazed windows with mosquito nets. All new quality appliances with 5 year warranties. 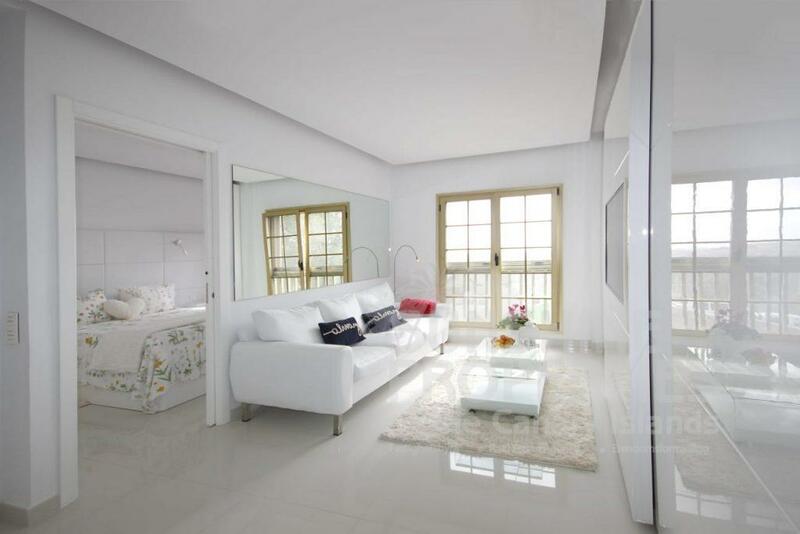 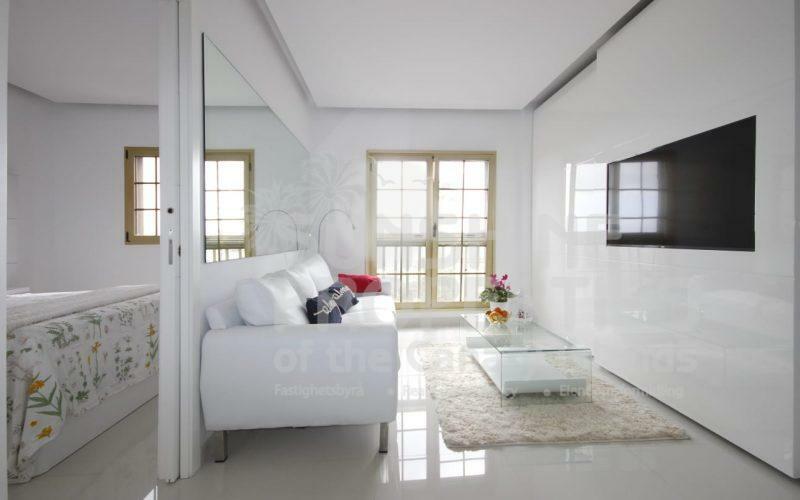 The apartment is bright and spacious with natural light and air conditioning. 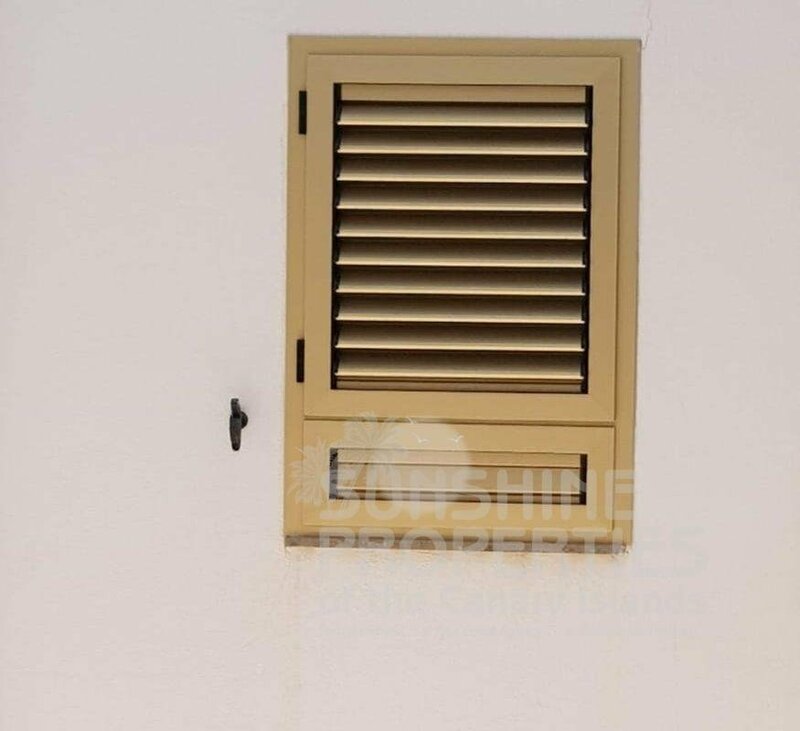 The house has very high quality filters installed in the water pumps for drinking. 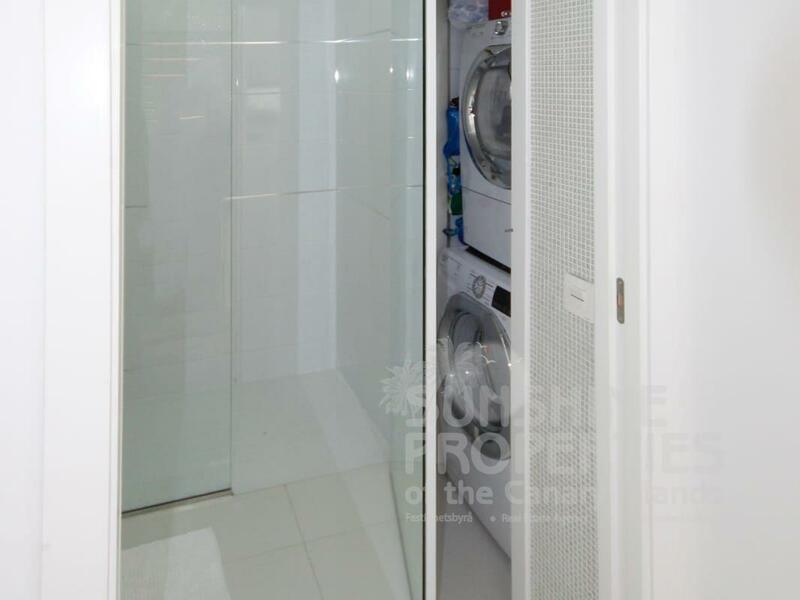 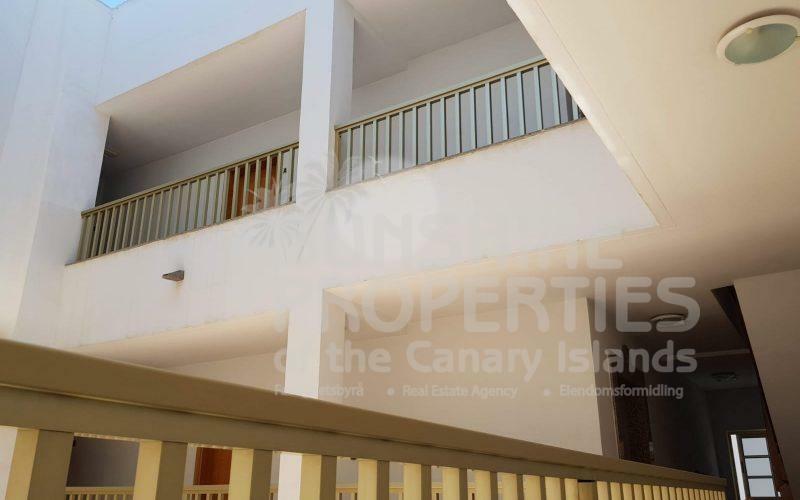 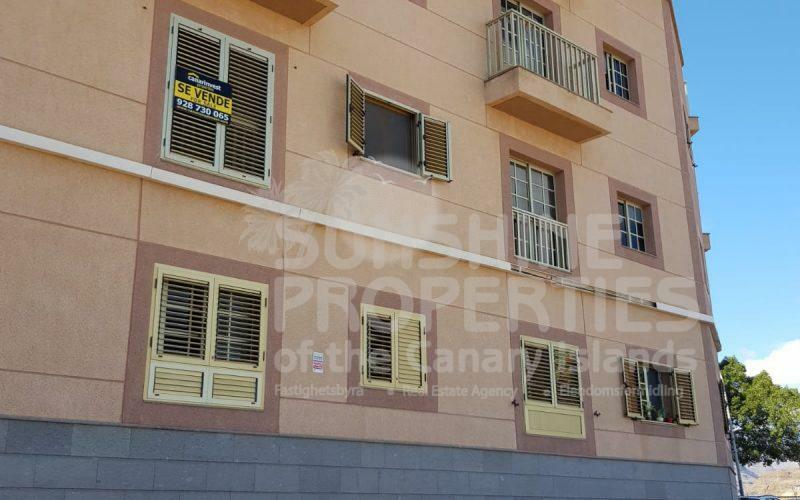 The apartment is being sold with a large Garage and there’s also a lift within the complex. 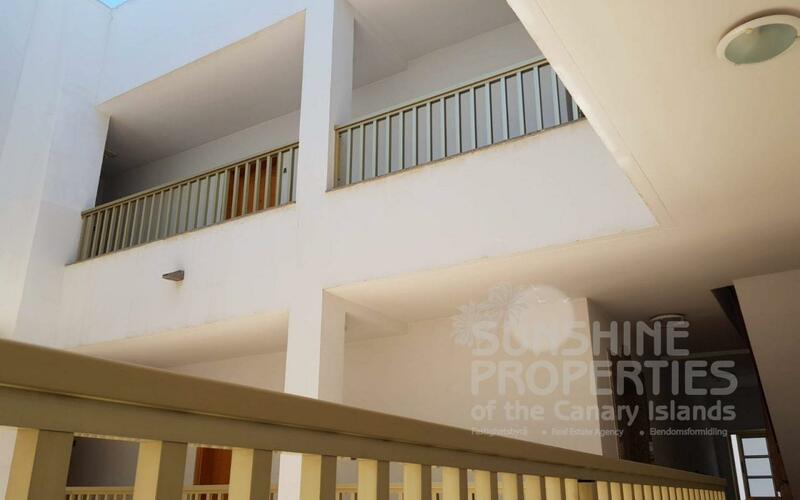 Located in a quiet area however is within walking distance to all amenities including the taxi rank and bus stop, shops, bars, restaurants etc. 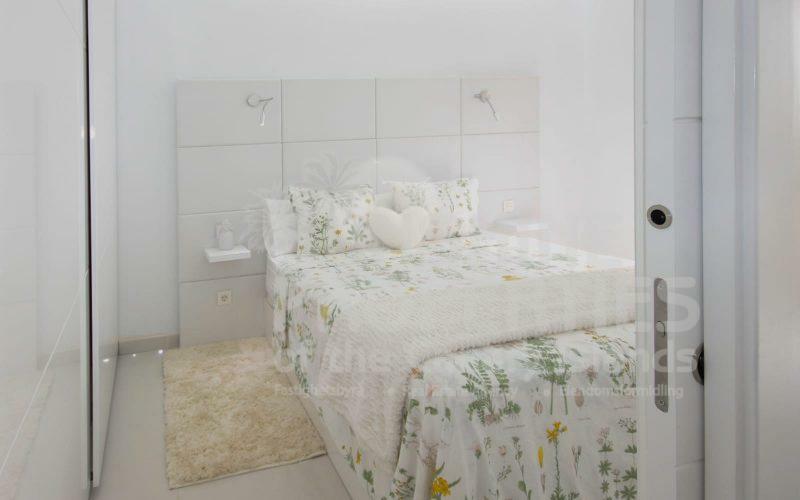 It is a 5 minute drive to Meloneres Beach and 10 minutes drive to Playa Del Inglés with easy access to the motorway. It has wonderful views of the sea and the mountains. Viewings are highly recommended.